Prepare for Insurgency: Sandstorm’s Open Beta this weekend with the new intense Gameplay Overview Trailer! Insurgency: Sandstorm, the FPS sequel to indie smash-hit Insurgency, brings action-packed, nerve-wracking modern military combat to PC on December 12. Starting on Friday, December 7 and running through the weekend, an open beta period will invite everyone to try the game for free on Steam. 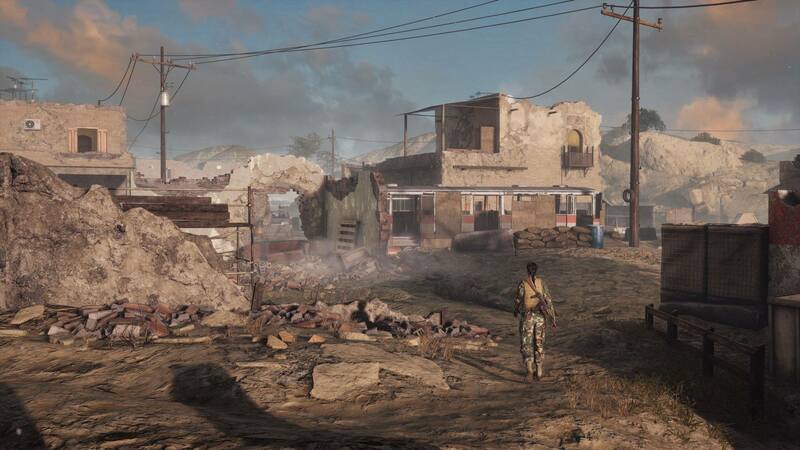 To get potential players ready, the new Gameplay Overview Trailer commented by developers breaks down all the ways Insurgency: Sandstorm is unique, from the high lethality gunplay, to an atmospheric minimal HUD, to Commander-Observer tagteams calling in fire support, to the extensive character and weapon customization, to the very design of maps, modes, and even sound. New World Interactive’s lead game designer Michael Tsarouhas narrates the action, explaining every movement, explosion, and pull of the trigger. Across eight minutes of gameplay footage he explains how New World Interactive combined the best of shooter fundamentals with a realistic approach to ballistics, equipment, and other gameplay factors, creating an incredible FPS experience. Everything you see - from weapons to vehicles to maps and modes - will be available in the Open Beta for everyone. New World Interactive are currently putting the finishing touches on a massive update to deploy when the Open Beta starts, representing a big content upgrade on the current Closed Beta offering. This includes the full map pool, character improvements including new voice lines, an optimization pass, and much more. Insurgency: Sandstorm is also available in an ongoing pre-order beta, with thousands of players already playing, testing, and providing feedback on everything from weapon balance to optimization improvements. Updates and patches have been regular, taking community feedback into account as well as providing new content for those players that decided to jump in early. Those who pre-order receive a 10% discount alongside their instant access to the pre-order beta, as well as an exclusive in-game tattoo cosmetic to show their veterancy in the years to come. An additional 10% loyalty discount will be given to fans that own the original Insurgency. This additional discount will be offered until the end of March 2019. Insurgency: Sandstorm releases December 12 on PC. Steam pre-orders are available now and grant instant access to the ongoing beta testing phase. Insurgency: Sandstorm will come to consoles in 2019.